The reality of air pollution is best understood when it can be physically seen. 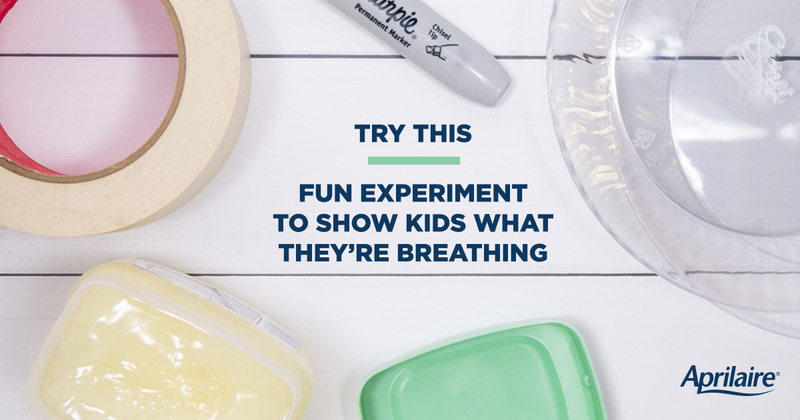 Try this simple activity with kids to show them there really are things in the air that we cannot see. Use a permanent marker to label each of your plates with a different location around the house (bedroom, kitchen, living room, etc.). The experiment is about indoor air quality, but you could place at least one plate outside too. After your plates are labeled, spread a thin layer of petroleum jelly on each. To make the experiment fair, be sure to use the same amount of jelly on each plate. Use your masking tape or putty to hang the plates in their respective rooms. Wait 2-3 days and then collect your plates. Place each plate on a piece of white paper and use the magnifying glass to observe the different particles that were collected. Whether you use the above experiment or just want to talk with your kids, awareness in children is a great first step in getting them to care about air quality and their daily health. Children who suffer from asthma and allergies especially have reason to be aware of the air around them because of the direct consequences air pollution can have on their breathing. Teach kids to always get the help of an adult when they are experiencing shortness of breath, and show them ways to help themselves if they’re on their own when they can’t breathe. Find the Source – Now that kids are aware of air pollution, it can help them identify if the air around them is causing their shortness of breath. Cigarette smoke or mold spores are two examples of possible causes. In the fall, mold from leaf piles is a concern. In these cases, remind kids that getting some fresh air can help. Deep Breaths – Try some of these deep breathing exercises with your kids. These can come in handy when kids leave a polluted or allergen-filled area and can breathe in fresh air to relax. *Note: This is not intended to be medical advice for those with serious breathing or health issues such as asthma. Please consult your healthcare professional for in-depth instructions and strategies in these scenarios.